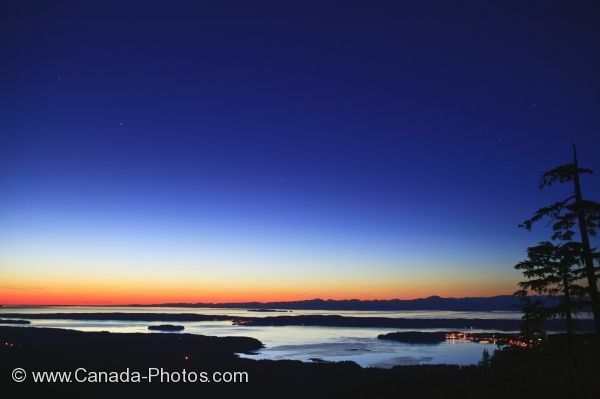 A clear night reveals views across the Broughton Strait and the larger Queen Charlotte Strait towards the coast mountains of British Columbia. The night sky is illuminated by the setting sun off on the horizon. View over Northern Vancouver Island with Alert Bay in the foreground and the British Columbia Coast Mountains in the background, British Columbia, Canada.